Here you see an amazing little project we created for the CIPD last Christmas. A5 folded to A6 Christmas Cards, printed on both sides using our Xerox Printers, trimmed, creased and embossed on the outer cover. The result is a beautiful and completely bespoke christmas card for the Chartered Institute of Personal Development. These Embossed Christmas Cards are printed both sides, on a beautiful 350gsm silk using our digital printer. Using digital print over litho is perfect in this instance as the quantity of cards was less than 1000, but more so, the cards themselves were to be personalised, which is impossible using litho print. By using a bespoke embossing forme, you can really create an outstanding christmas card for your business. One that will truly stand out and get you noticed. 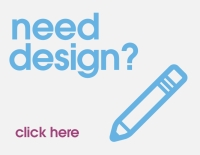 To get an idea of design opportunities or print costs, please get in touch via our contact form or pop into the office anytime. Our design studio and print customer service team will only be too happy to assist you in creating the perfect bespoke christmas card for your business, charity or community group. All our Christmas cards come ready to send and are packed with luxury white envelopes which saves your the time, hassle and money of trying to source these yourself. honestly I do believe we think of everything. However we’ll leave the writing and sticking of the cards to you. CIPD or Chartered Institute for Personal Development are the professional body for HR and people development. They are the voice of a worldwide community boasting 140,000 members committed to championing better work and working lives. We have worked closely with the CIPD Northern Ireland office on a number of projects including Christmas cards and leaflet printing to promote their many events throughout the year.